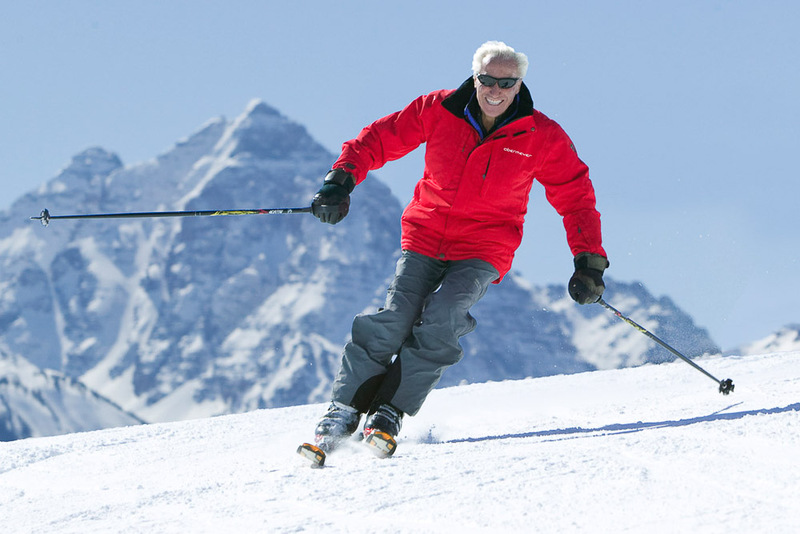 Klaus Obermeyer (in his 90s) still regularly skis Aspen's slopes. Down parka pioneer: Klaus Obmermeyer. The Aspen elite: Obermeyer's 1962 range on show. More than just a parker. Obermeyer's new 1961 ski goggles that actually stopped UV rays. How one Aspen local and his parker made skiing fashionable: in conversation with Klaus Obermeyer (words: Steve Madgwick). Taking a pair of scissors to a kindly present from his loving mother was probably one of the best things Klaus Obermeyer ever did. In fact, it not only changed his life, but maybe yours too; if you’re a skier or snowboarder. You see, Klaus had a conundrum to solve. The (now 97-year-old) Bavarian had just up and moved his life from Germany to a tiny downtrodden mining town in Colorado’s Rocky Mountains. It was a town that didn’t want to be a mining town anymore. That town was Aspen. The year was 1947. Post-war, skiing was something only partaken in out of necessity or by the truly adventurous, but this was changing. But that wasn’t the main part of his conundrum. You see, the little rope tow was slow, very slow; one of its sleds went up the mountain while the other went down. “People complained it was too cold going up that lift so they started to wear city overcoats going up, but you couldn’t ski in them; so you sent the coat back down on the lift,” he says. Inevitably, if you were a half-decent skier, you would beat the coat down. The homemade parker caused a stir in the right circles. In fact, one Hollywood actor in particular took a shine to it (20th Century Fox was integral to the ‘glamming up’ of Aspen). Klaus remembers Cooper fondly, calling him “a great cowboy,” but he prefers not to talk about the mischief that Gary and he got up to when they après-skied together. The (first) down ski jacket was no fluke. Klaus was very used to finding solutions to both simple and complex questions. He was an aeronautical engineer in the Second World War, building Messerschmitts (yes, for the enemy). He was brought over to the States for these very skills straight after the war, but a different path beckoned. Klaus became a ski instructor, having already been a ‘bone collector’ for a year (the guy who helped pick up people who fell in ski class) in St Anton in the Austrian Tyrol, only a couple of mountain ranges away from his hometown in Bavaria. Obviously, one jacket is not the end of the story. 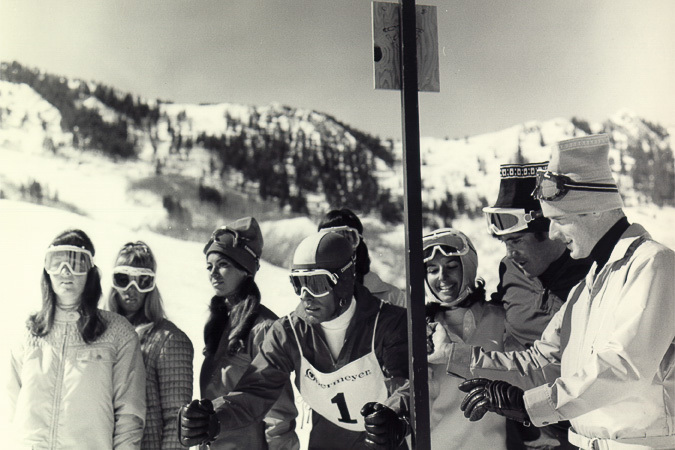 From that Michelin-Man prototype, the Obermeyer brand that skiers know today sprouted, beginning with 17 women sewing and Klaus. Next on Klaus’ radar was under-clothing. He produced the first turtlenecks for the American ski fields, crafting seamless-collared, one-size-fits-all, Egyptian cotton shirts that kept out the cold and ended being a fashion icon in their own right. He then focused his engineering nous on other alpine equipment shortcomings. He fashioned the first generation of toughened mirror sunglasses (which actually kept out some UV rays); a sun lotion that blocked out the sun instead of enhancing it; and aluminium ski poles, which replaced bamboo and hazelnut wood ones. 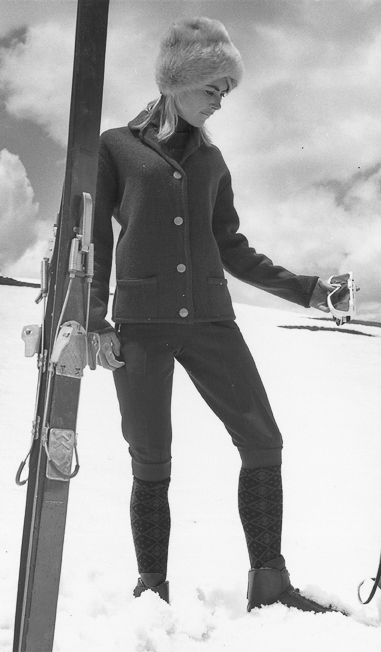 Despite some of the ski fashion tragedies of the past half century, Klaus is positive about the future of mountain couture, particularly with “the increasing and incredible range of materials” available. There is one problem, however, that he admits he will never solve. Perhaps the most incredible thing about Klaus is that this 97-year-old still skis many days in the winter, swims when he can and, naturally, practices aikido too.